"Punditry should be about tension." Gary Neville did not get as much time to do his deep dives into match analysis during ITV's World Cup coverage, but he looked to be having the time of his life in Russia. The former Manchester United and England defender had an absolute ball sitting alongside the likes of Roy Keane, Lee Dixon and Ian Wright during ITV's World Cup coverage. He may have clashed with Slaven Bilic on a couple of occasions but Roy Keane's comments - good, bad or very bad - had him in stitches. For all of the laughs he had with Dixon, Keane and Wright, Neville immediately strikes on his spats with Bilic when looking back on the tournament. "Punditry should be about tension," he says. "You can see the same incident, and I can be sitting with Slaven Bilic, and he would see it completely different to me. That’s the beauty of football. That’s how punditry should be. "People shouldn’t be worried about falling out with the guy sitting next to you. that’s what good television is. You shouldn’t be afraid to fall out with each other, but you shouldn’t force it and do it for the sake of it." Neville and Keane, in their playing days at United, had a few arguments but both knew that it was for the club's winning cause and they quickly moved on. He was delighted with the World Cup reunion. 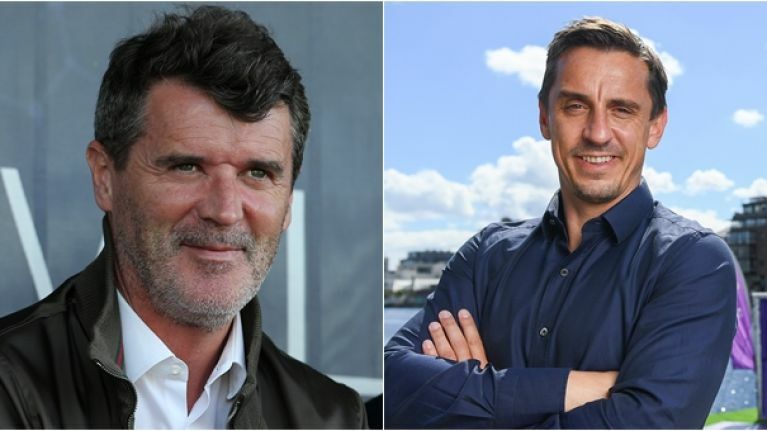 "It is always fascinating to listen to Roy, he is compelling in terms of his views on football and I enjoyed working with him," said Neville, who was speaking while over in Ireland at an event with Cadbury, the Premier League's official snack partner. "The three of us? I would, absolutely. You look at some of the pundits working for other channels who have great careers that I played with and played against and you would. You’d like to be in the company of these people. "You get into the studio and when you are with the same person every week...that’s why Jamie Carragher and I don’t do Monday Night Football together every week. Sometimes Jamie leads on it and I come in for quite a few of them. But there have been guest appearances: Jurgen Klopp, Slaven Bilic, Brendan Rodgers and others. "I would absolutely like to be in the presence of different people. I get used to how Jamie Carragher and Graeme Souness and Jamie Redknappp see football, so for someone else to come in and throw something different into the mix spikes everybody and gives everyone a different perspective. "The answer is yes [about Keane], by the way!" Keane, Neville and Carragher on MNF? 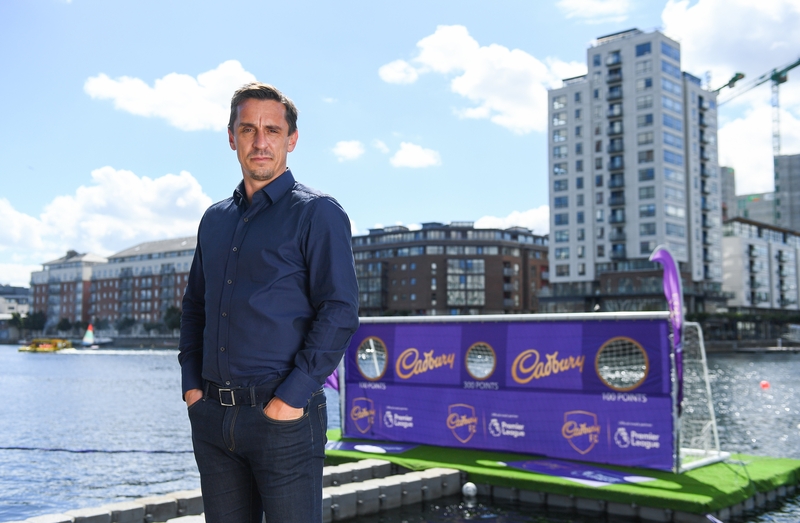 Gary Neville was speaking in Dublin as an ambassador for Cadbury, the official snack partner of the Premier League.